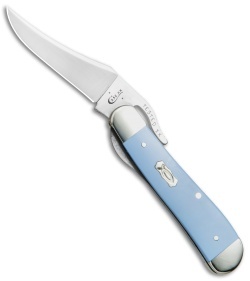 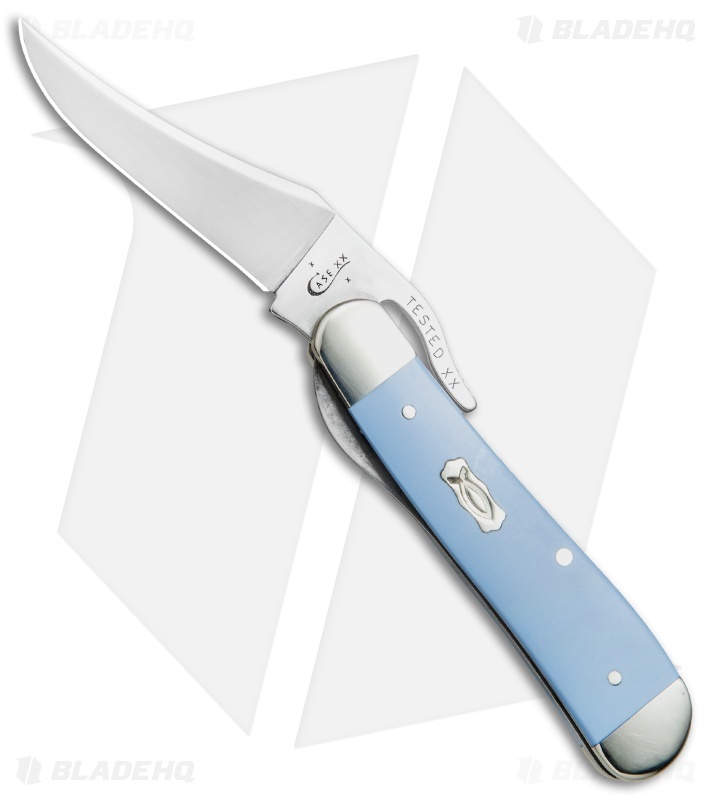 This Case Russlock model features a smooth Blue Ice handle with an Ichthus inlay. 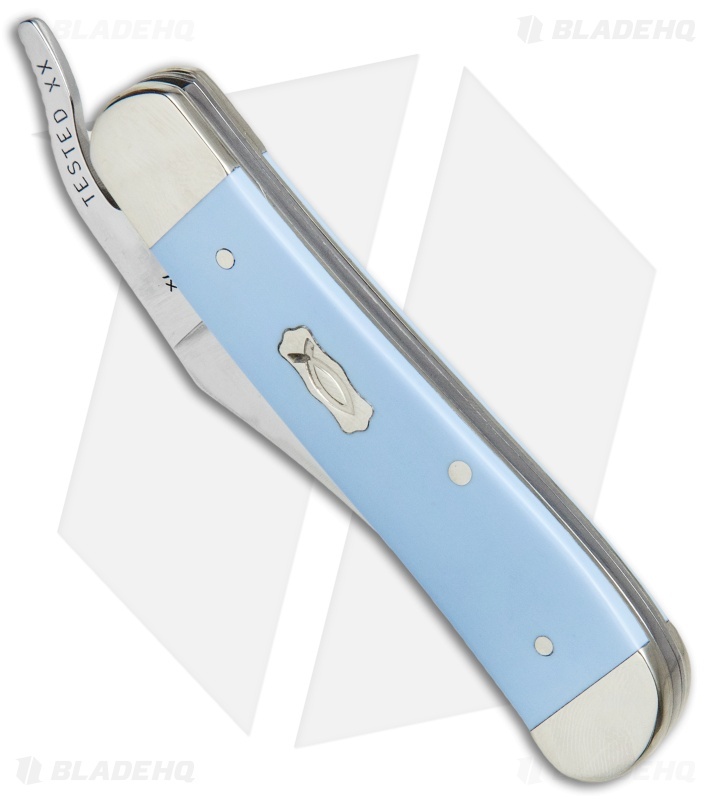 The Case Russlock pocket knife will make a fantastic addition to any traditional pocket knife collection. 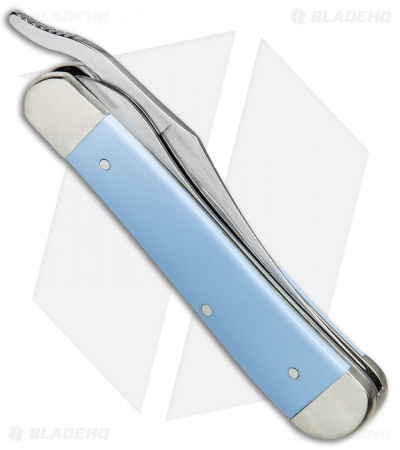 It's outfitted with a Tru-Sharp surgical stainless steel blade with a sharp, durable edge that will easily manage any daily cutting chore. 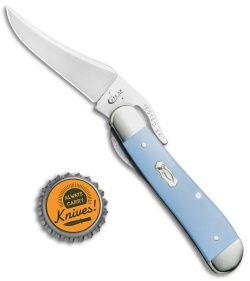 The blade opens with a tang extension and locks up secure with a stainless steel liner lock. 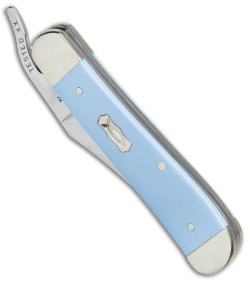 Tough Kirinite scales resist chipping, cracking, warping, and shrinking. 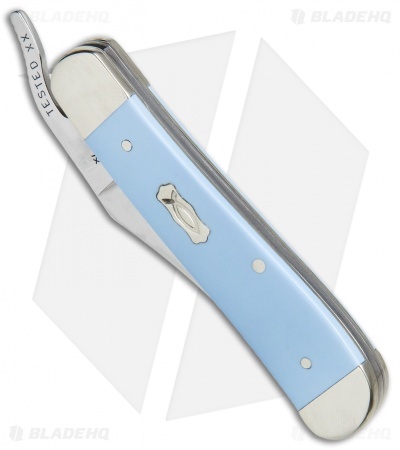 Polished nickel silver bolsters finish off this collectible Case knife.